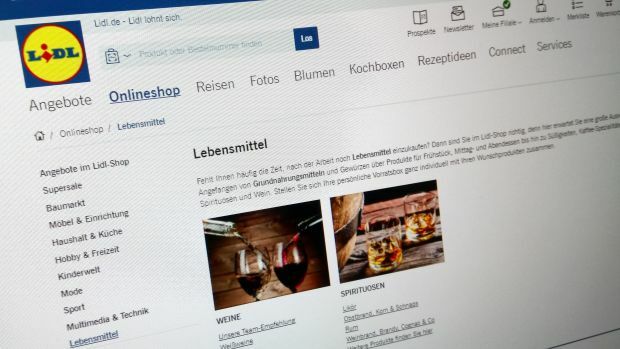 Most grocery items have disappeared: On Lidl's online shop site in Germany, only wines and spirits have remained under the 'food' category amid the broad variety of non-food goods that can be ordered. Aldi Süd is investing heavily in the improvement of its infrastructure, Lebensmittel Zeitung reports. The discounter has earmarked EUR3.5bn in what it calls “the biggest investment programme in the company’s history” to flow into its German store network by 2019. “To do so we will temporarily and deliberately accept a slowed-down profit growth,” the retailer told the paper. “We are and will remain a discounter,” Aldi Süd deceives hopes in the industry that the programme could lead to higher retail prices. With more brands, rejuvenated private labels, a firework of marketing campaigns and an extended range of 1,360 SKUs, Aldi Süd has recently managed to reignite sales growth in its German home market. Meanwhile, competitor Lidl has clandestinely discontinued its grocery e-commerce trial in Germany. Lidl was the only discounter in Germany to sell a full range of ambient goods, excluding chilled, fresh and frozen foods, in a parcel delivery service. Trials with a Vorratsbox offer – imitating Amazon Pantry – had already been discontinued. Wines and spirits are still available from the site, which now focuses on non-food. The move comes after the Schwarz Group-owned discounter scrapped its Lidl Express click & collect pilots at the beginning of the year, following a decision to cut costs by the group CEO. This resulted in the then-CEO of Lidl, along with some e-commerce managers within the company, to leave. Sister company Kaufland has also delayed the roll-out of its home delivery concept for the time being. It’s always good to do a good deed. Last week I raised a German grocer’s profits by not shopping with them. I cancelled my online order of sugar, flour, milk and water from their home delivery service. I could literally hear the sign of relief that went through the headquarters. (I’ve never experienced a cancellation process as prompt and convenient as this one.) Why can’t more customers be as considerate as me?! After all, what were supermarkets invented for? For rapid self-service, not for laborious, personal home deliveries of unprofitable staples. But everyone is moving online! What the supermarket operators have been saying for a long time – we need to upgrade our stores to resist the growth of online retailers – applies to the discounters too. Lidl has long seen this opportunity and has invested in nice-looking, if not impressive stores (‘glass palaces’) for various reasons. Not only because of the rise of the internet, but also because it makes its stores look more like supermarkets, especially in countries where discounters are less popular; and because it has the billions of EUR to do so, which provides it with a USP over its competitors. Aldi Süd – and even more so Aldi Nord – have been put under growing pressure by Lidl to upgrade their stores. And it comes as a bit as a paradox that now, when Lidl has decided to scale back, Aldi has only just opened the bottle. EUR5.2bn for Aldi Nord internationally; and EUR3.5bn for Aldi Süd in Germany alone. In terms of figures, the latter would mean more than EUR1.8mn per store (warehouses, etc. not deducted). Well, it always takes a bit longer at Aldi, but once they get going … In general, what Lidl tries to achieve with a first mover advantage, Aldi very often wants to compensate with a last mover advantage – learning from the mistakes that others have made and coming up with the sound, future-proof solution. And sometimes with a no mover advantage. This strategy didn’t always work to Aldi’s entire satisfaction in the past, far too often Lidl steamed ahead with something that wasn’t proven sustainably profitable and sensible – but still was successful, sometimes only just because it created a new market with it. In terms of grocery e-commerce, Lidl has learned its lesson. And the lesson is: selling food online as a discounter in Germany does not work. Not yet, and possibly not in the foreseeable future. The reasons for Lidl’s decision can surly be manifold. Lidl has insight into its sister Kaufland’s online operations – and will be able to make use of that knowledge in the future should it decide to return online. Seeing what Amazon Fresh has achieved – exactly half a year after its launch in Germany – doesn’t really encourage a discount grocer. Despite killer prices for some brands, the target group is very different. If the cheapest milk you can find is organic and there is no discounter-priced option available, plus two subscription fees (Prime and Fresh), we are not talking about the same shoppers nor the same calculation. These are not encouraging preconditions for mass-market grocery e-commerce finally taking off in Germany. But the least encouraging reason could be Aldi. As long as all the others are failing profit-wise, why should sceptical Aldi jump in at the deep end? Aldi Nord is hiring e-commerce experts, that’s true, possibly for its Belgian online plans. But in Germany, Aldi has the price sovereignty. Keep in mind Aldi Süd’s statement that it is going to accept lower margins rather than higher prices during its investment programme. Why should this retailer – whose market leverage is so strong that its price setting influences the country’s inflation rate – suddenly allow profit margins that make grocery e-commerce viable for its competitors?